Dom’s sets are shaped around House and Dance music. However, his experience dealing with diverse crowds, at diverse venues, has made him extremely adaptable, able to perfect a style that accommodates all type of listener; from underground enthusiast to chart pop devotee. 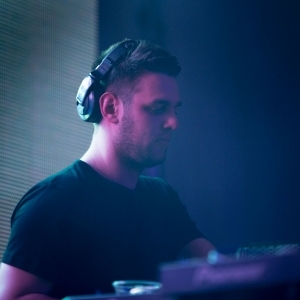 He has recently performed alongside artists such as Sub Focus, Low Steppa, Ms, Dynamite, Waze & Odyssey, Toyboy & Robin and many more. He has also personally DJ’d for artists including Solo 45, Gracious K and Baby D.
Dom has performed at various UK festivals including El Dorado, The Vita Coconut festival, Taste Of London, Forbidden Festival, and Bournemouth 7s. He has also played abroad at Rise festival in Les Deux Alps, Saloufest in Salou, 'Regnum Carya’ in Turkey and ‘Mikro’ in Greece. Dom currently holds residencies with brands such as the Jamm Factory, Fuzzy Ducks, Lost in the Zoo, and Lola Lo. Dom was recently awarded the title of ‘Brookes’ favourite DJ’ in an online poll conducted by ‘The Tab’.